FAQ: If this trait is genetic, does that mean I can’t do anything about it? Some people do find it discouraging to find they have something “genetic,” as it could be taken to imply that change will be impossible—it seems to invalidate that usual idea that our problems are due to our past and can be unlearned or healed. Maybe you have heard about the newer thinking, that there is a “gene-environment interaction.” But genetics can still seem to act like a limit on change, a limit that is associated with unpalatable assumptions and values such as that “psychologically troubled people, like the poor, will always be with us” so why try to change that? Leaning too far the opposite way, however, that anyone could do anything with the right opportunities in childhood or the right therapy in adulthood, pushes temperament into the closet and can potentially do harm. Because ignoring your temperament may cause you to miss the simple life practices that keep HSPs healthy and happy, and keep you pursuing the wrong goals and waste your time or feel like a failure. Actually, your particular genetics may open the door to being able to change more. Belsky, Pluess and others have summarized at least 100 studies finding that when children, mostly, with certain early appearing at-risk behaviors or genes are raised in a supportive home or participate in an intervention to improve their home or school environment, they often benefit more than those without the at-risk factor, suggesting a greater susceptibility to the effects of their surroundings rather than mere vulnerability or just being “born that way” with no effect of the environment. The susceptibility perspective brings the possibility of change back into the picture. Yes, most of the research is on children, who are more malleable, true. But some research and certainly my experiences suggest that adolescent and adult HSPs may also gain more than others from good environments and professional help. Even if there were no interaction between your environment and your trait, or you had a supportive childhood, working on the consequences of your temperament is still very helpful. No, you cannot change the trait itself, but you can adapt to it much better. 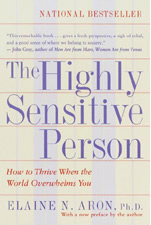 High sensitivity brings both advantages and some unique problems to your work life, relationships, health, and so much more. Because HSPs often begin by assuming we are like the other 80%, it can take some real effort to learn how to change our ways. Further, there is the value of reframing your past—that many “failures” were not really failures, given that as an HSP you were overstimulated at the time (and no one performs well when overstimulated). Many decisions you regret were actually wise, given your sensitivity. Then there is discovering how best to use your sensitivity in every life setting. 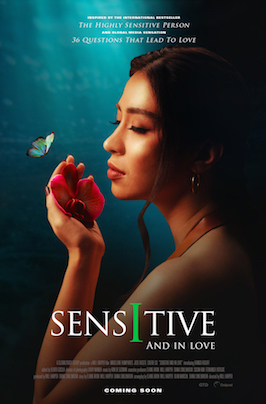 I would definitely say that HSPs, once they understand their sensitivity, are likely to want to and be able to change more about their lives than others.